It seems that most of Sarawak Lawyers are afraid to show their colours says a political source to audie61. There are all in the profession as a means of making a living and thus do not want to offend or does not want to be seen to represent any political divide. audie61 met Chong Chieng Jen who was on his rounds meeting the constituents and selling the “Rocket-DAP newsletter” on Saturday and he was very upbeat and enthusiastic about the Monday protests. The turnout must have been a very bad letdown especially when there was so much expectations from the legal fraternity. A source said this to us this morning,”Apparently the remote control did not work as planned. The control switch only managed to get PKR Sarawak Information chief See Chee How and 2 other lady lawyers and two male lawyers from PKR as seen from the pictures in the main stream media.” Isn’t this disappointing..?? ?’ Strange,where are the other DAP lawyers..?? 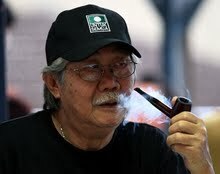 The internet blog Hornbill Unleashed has a full report of this event but the question remains and asked by many,”Whatever happened to all Sarawak Lawyers..?” Too busy making money….if you know what I mean was a remark from one of the coffee shop clienteles in which audie61 and crew had breakfast this morning. A political watcher said the organisers needs to go back to their drawing boards and retrace where their planning and event management let them down. Is this a clear message to them from the Sarawak legal fraternity..?? TRUTH BE TOLD:- Sarawak lawyers have their own mindset and only if their rice bowls are shaken/overturned they will not/want not to participate in rallies or protests. Updated:- 4.30pm DAP leader Lim Kit Siang has challenged newly-appointed Malaysian Anti-Corruption Commission (MACC) chief Abu Kassim Mohamed to show that he can lead the anti-graft body towards becoming more independent, non-partisan and professional.investigations against Penang Chief Minister Lim Guan Eng and Selangor exco member Ean Yong Hian Wah. In a statement today, he also told Abu Kassim that it is important for the body to attain “national and international confidence and recognition as a foremost graft buster in the league of Hong Kong’s Independent Commission Against Corruption (ICAC)”. We shall see and below is the article posted by the internet portal Malaysiakini. Abu Kassim Mohamed has been sworn in as the new Malaysian Anti-Corruption Commission (MACC) chief commissioner today. The 48-year-old top graft buster has received his appointment letter from the Yang di-Pertuan Agong at the Istana Terengganu in Kuala Lumpur. Abdu Kassim left the palace without talking to waiting journalists at about 10.40am. Abu Kassim replaces Ahmad Said Hamdan, who submitted a written notice to have his contract of service shortened from May 25, 2010 to Dec 31, 2009. Among those present at the swearing-in included Ahmad Said, Minister in the Prime Minister’s Department Nazri Aziz and Inspector-General of Police Musa Hasssan. The new chief commissioner inherits an agency whose reputation was severely tainted following the death of DAP political aide Teoh Beng Hock last year. The commission has also been criticised for allegedly practicing double standards when it comes to investigating Barisan Nasional and Pakatan Rakyat politicians. Abu Kassim has a Bachelor of Social Science degree from Universiti Sains Malaysia, Penang and Master of Science in Criminal Justice from the Michigan State University, United States. He joined the Anti-Corruption Agency (ACA) on Sept 1, 1984 as an investigation officer. ACA was later renamed as the Malaysian Anti-Corruption Commission last year. Abu Kassim also served as director of planning and policy coordinator at the ACA headquarters, ACA director for Perak and Penang, director of the Malaysian Anti-Corruption Academy and was seconded to Amanah Raya Berhad as its head of Integrity. 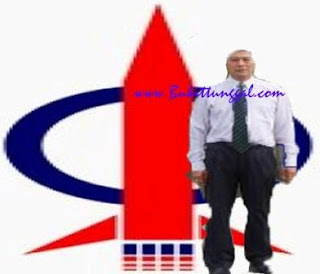 He was appointed deputy director-general (operations) of the ACA on Jan 1, 2001 and with the enforcement of the new Act on Jan 1, 2009, he was appointed deputy chief commissioner of MACC. Can We Count on Him Going After And Catching THE BIG FISH…??? Seems the authorities are beginning to rope in the culprits who has been oversiphoning the rakyats money in the PKFZ scandal. The inital costs of 2 billion spiralled to 4.6 billion for the massive 400-hectare integrated cargo distribution hub. Anwar further added,” We welcome this although it is a small move. I hope this is not the beginning of a cover-up on the issue.” All the major tabloids local and foreign and internet blogs will be covering the latest developments. If the Government does come down hard on those found to have played a part in the Scandal it will elevate the country and certainly boost foreign confidence and bring back losts investments. The fun ride for some is beginning to come to an end and those unfortunate scapegoats will be hoping that they will not be the ONLY ONES.. According to our sources there are speculations that DAP Assemblyman would not be picked to stand as the DAP preferred candidate for this incoming State elections. He is also considered as a loner and is deprived of information on DAP state matters. Are this back biting ssufficient for DAP to drop him out of reckoning? Are they more pressing matters? Could his so called “racial “overtones at the recent DUN sitting be the FINAL NAIL for the DAP hierarchy to stop him from going for a second term? There are more questions than answers and as far as the recent spat with the Backbenchers Chairman is concerned we would be hearing more of it as time develops. We learnt this all from some reliable veteran observers and they say the Back biting is getting serious as far as YB Voon is concerned. Back biting in a politcal party as we know is very damaging.It can be used by certain quarters as part of their scheme to secure political positions or steer their way into positions as favoured candidates. The members in the party will dictate the status quo of the the day and it seems Voon will be the FALL GUY. No doubt this back biting did not stem from outside forces but usually it starts from a close insider source. The pursuit of such an opportunity for the DAP aspiring candidate will ensure that his dream of taking the coveted chair away from Voon is done and in doing so it is a convenient TOOL to achieve the preferred goal. This unholy way many have succeeded and Voon should just look over his shoulder as the messages that is being spread now will reach a wide influence and impact and it may even shape the public opinion though DAP Voon might gain public sympathy through his stand at the recent DUN. All though is not too well for Voon and he knows what is coming and he is trying to change the rising tide towards his nose. The wizards of back biting will see this as the greatest opportune time to PUSH THE DAGGER in towards Voons chest and it is up to him to come out fighting. Will he be able to cop this time round? It seems that mosts political analysts points Voon to losing the battle this time round BUT as alwys there might just be some HOPE if he quietly goes off in the sunset….. Certainly Chua Soi Lecks reinstatement by ROS must have come as a shocker to many in the political fraternity. The MACC coming down on Political corruption is commendable but more needs to be unearthed by MACC. Now according to this blog the Police are following suit and calling in Zorro a fellow blogger to answer a few questions over a cup of coffee hmmm. Malaysia is indeed going through some pretty interesting times dont you think so……. Zorro called me about 6 o’clock this evening to say that he had been summoned to appear at the police commercial crime division near the Bank Negara train station tomorrow afternoon at 3pm. This old @*+% and I probably disagree on more things than that which we agree on. One thing, though, that we share in common. We will not tolerate any attempt by the authorities to silence the dissenting voices in civil society. Ashok and I will accompany Zorro as his solicitors tomorrow when he attends at the police HQ. Would be nice if the many of you who have urged Zorro by your comments on his blog to continue with his writings would make the time to be there to show solidarity with our friend in his hour of need.